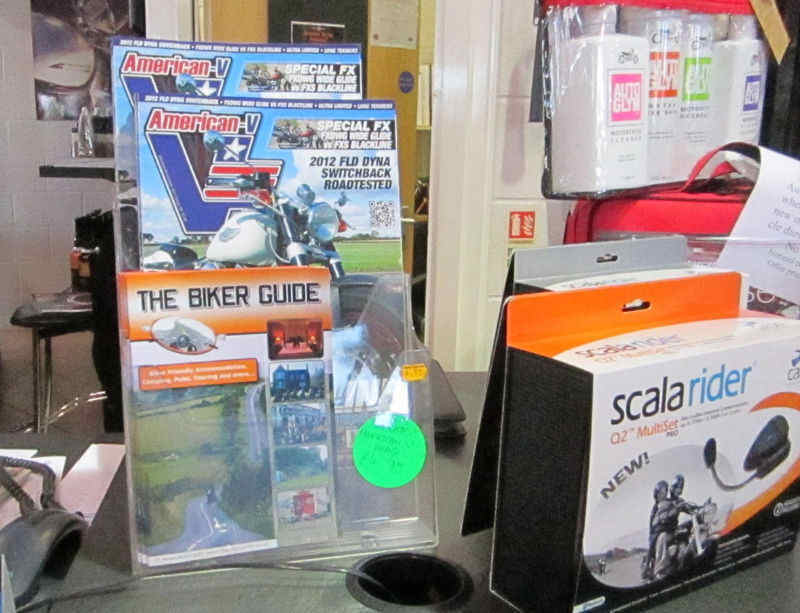 THE BIKER GUIDE booklet has been distributed at many shows, events, clubs and via many popular Meeting places, including Ace Cafe, Green Welly Stop, The Royal Oak, Hartside Top Cafe, The Bikers Cove, The Railway Inn, Harley-Davidson Preston, Touratech (Wales), Departure Lounge Cafe, Lynns Raven Cafe, Wessons Cafe, Doof Cafe, The Ponderosa Cafe, Squires, Iron Horse Ranch House, Filling Station Cafe, Yorkhill Easter Egg Run, Sheep Dip Rally, The Nightjar, The Great Tees Valley Bridge Run, The Worlds Largest Unofficial St Georges Day Parade, Rattlesden Five Bells Bike Show, Rainy Daze Rally, The Wallace Rally, Taffy Dakar, Norsemen Gathering, Big Bike Sunday, The Full Sutton Revival Meeting, Triumph Owners, I.M.T.C. 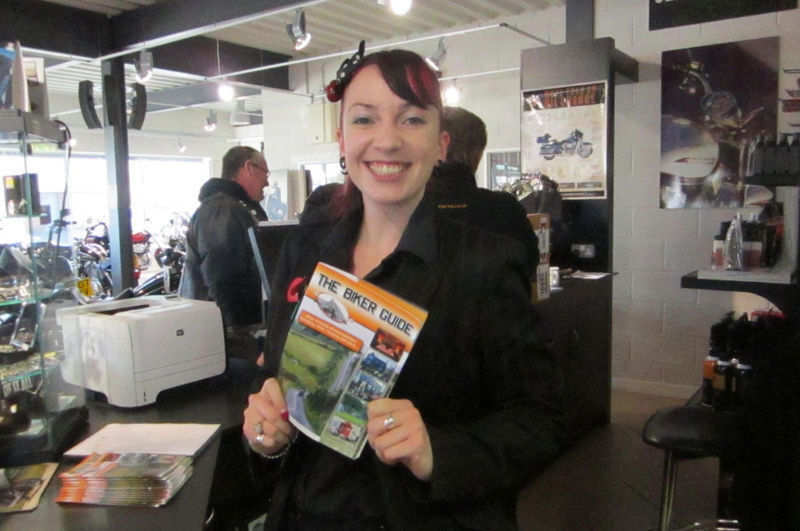 Motorcycle Touring club, Curvy Riders Motorcycle Club, Grindleford Cafe, Whiteways Café, The Leadburn Inn, Tudor Rose Wings, St Georges Day Bike Show, BMW Motorcycle Club, Blood Bikers Wales, NABD, Honda Owners Club, BWDE Biker Group, Bikers For Action SW, Association of British Motorcyclists, WOLDS Bikers, South Yorkshire Lady Bikers, Jacks Hill Cafe, GMEC Motorcycles, The Haven, Route, 1066 Café, Artyard Café, Chapter 1 Diner, Ghost Bikes, Hungry Hogs at Hillside Cafe, Red Lion Pub and Truckstop, Route 1066 Café, Sam's Diner, The Bruce Arms, The Buck Inn, The Haven, The Leadburn Inn, Wilf's Cafe, The Squadron Cafe Bar, The 68 Cafe, Nell's Café, Route 11, Twistmoto and 1,000's given away @ the Manchester Bike Show! It is also available for free via the website shop! 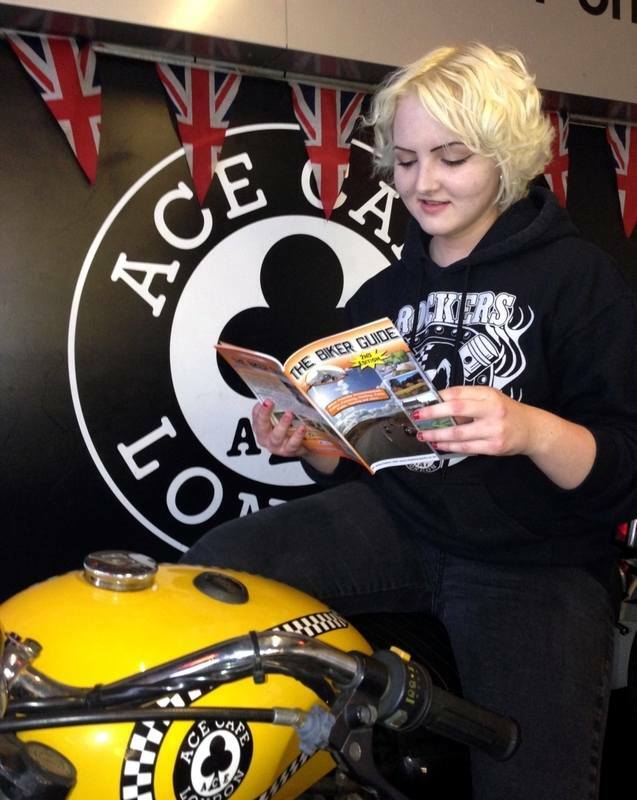 Customers at The Haven reading the 6th edition! 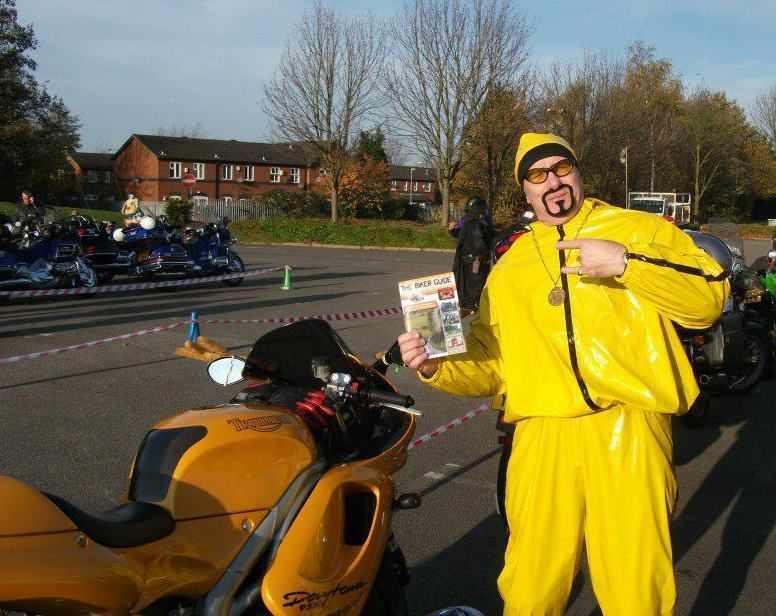 THE BIKER GUIDE® booklet @ the Salvation Army Toy Run - with Ali G! 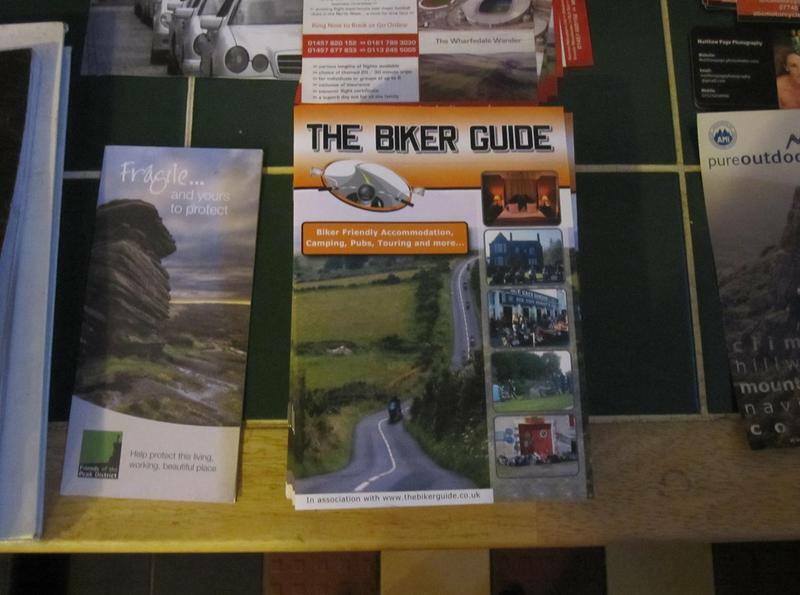 If you are a Biker Friendly cafe, meeting place, are holding an event and/or would like some copies for your club members, you can request the booklet to be sent to you - Simply fill in our on-line form here: Send me some booklets. Please note this does not guarantee the booklets are sent, as we organise the distribution early, however we look at every request.